It's our goal to develop high-fidelity, high-quality classroom trainers and tools that promote efficient, immersive learning. We begin by learning from you. Before delivering training equipment, we evaluate its full implication and use. We want to create a positive experience for the instructors, the pilots, the maintenance staff and every person involved in its operation. We do this by providing high-quality briefing/debriefing systems and user-friendly instructor tools, building innovative and unique hardware/software integration methods into our devices, utilizing versatile technology that allows for either real or replicated parts, and much more. Classroom Training: Let our team of highly skilled engineers, with experience designing Classroom Instructor Interface Software and Computer Based Training (CBT), develop training courseware delivered via a computer or online. 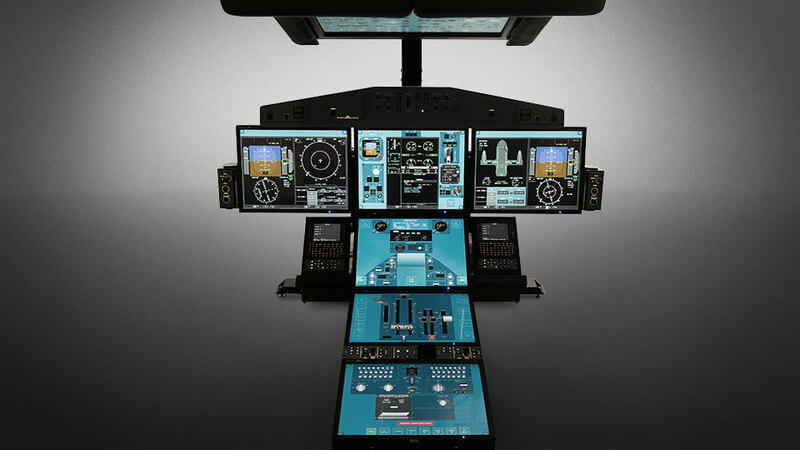 Flat Panel Trainer: Offer pilots a simulated cockpit allowing them to train on normal and abnormal procedures, perfect for procedure training. Desktop Trainer: Enhance your training program with this highly flexible, cost-effective solution. 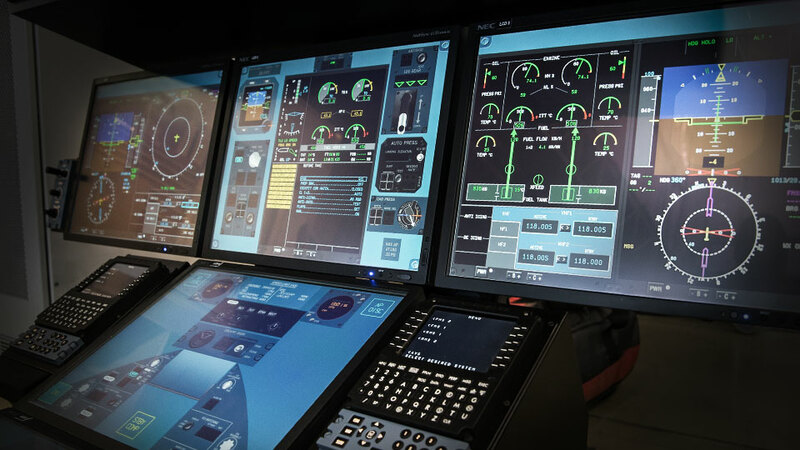 Flight Management System Trainer (FMST): Provide pilots the opportunity to develop and enhance flight management skills, in a simulated, high-fidelity environment.